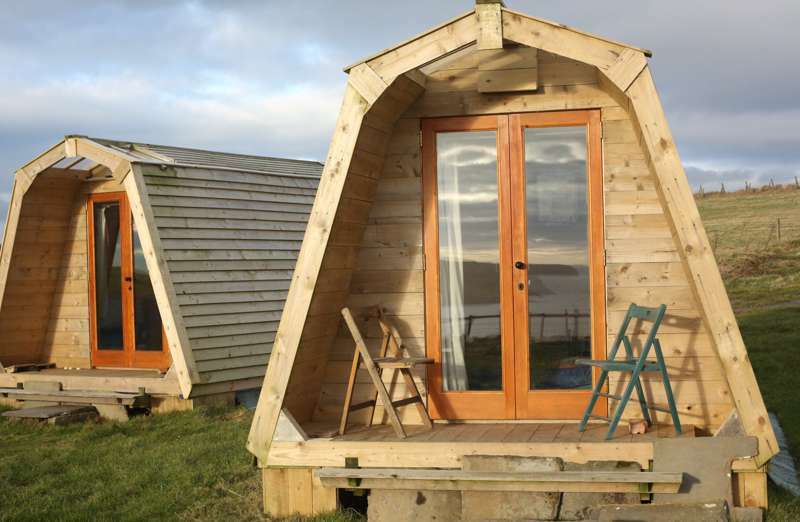 On arrival you will see the timber pods at the top of the track. Your name will be on the blackboard outside your pod and the pods all have the relevant bird painted on the outside. Looking up the hill, Arctic Tern is beside Heron pod lower down the hill on the right nearest the sea, close to the campers kitchen. Please make yourself at home when you arrive, there is a key in your door.